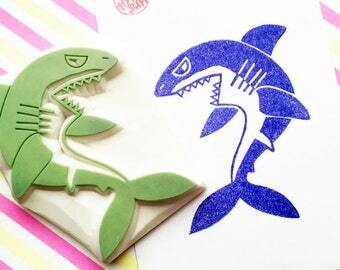 hand carved rubber stamp by talktothesun. large stamp with cat family in the box. 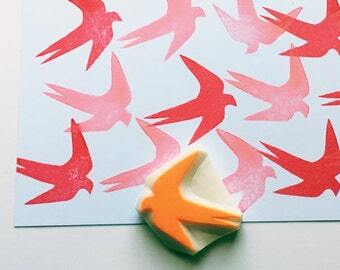 this stamp is created specially for block printing and fabric printing. decorate gift wraps, gift bags + gift wraps. 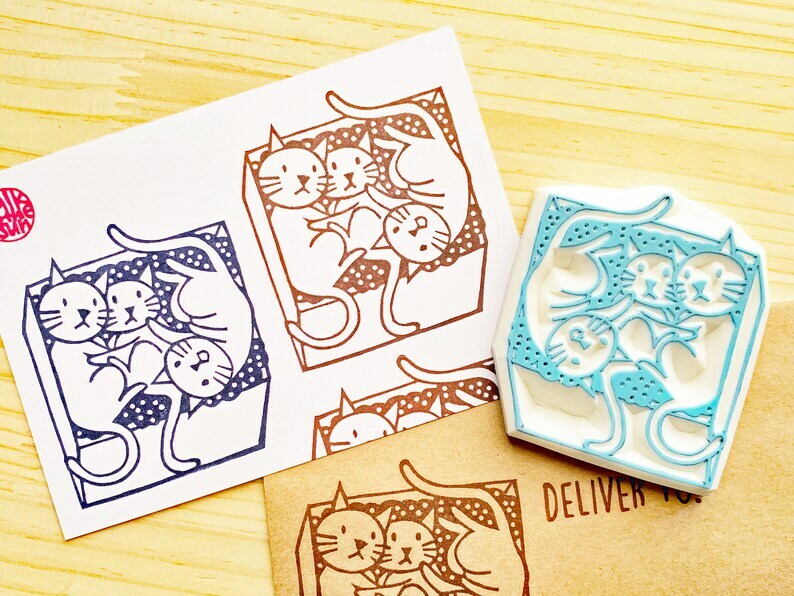 cat lovers gift. about 7.5cmX6.2cm (2.95inX2.44in). delivery to stamp is sold separately in another listing in our shop.